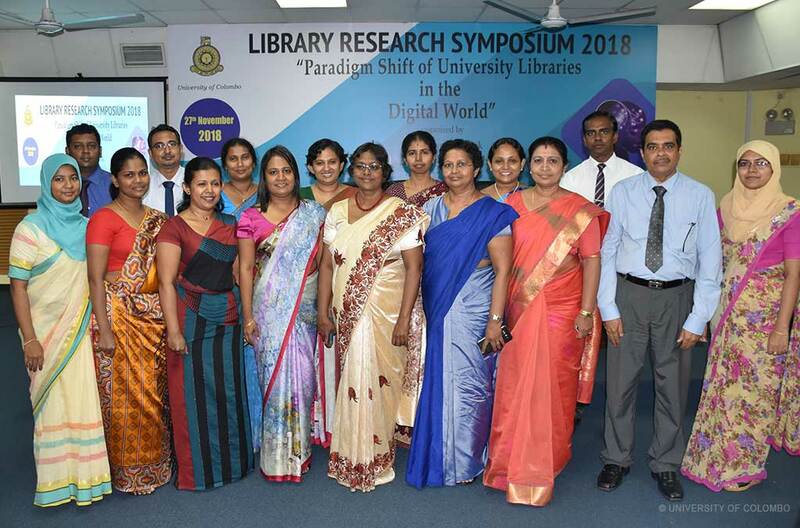 The Library Network held its Annual Research Sessions on November 27th, 2018 on the theme “Paradigm Shift of University Libraries in the Digital World”. The Sessions contained 12 research presentations on the sub-themes; Information dissemination in the digital environment, Managing E-Resources in the Digital Era, Library innovations for digital natives. Professor Inder Vir Malhan from the Central University of Himachal Pradesh was the keynote speaker and Senior Professor Nayani Melegoda, the Acting Vice-Chancellor of the University of Colombo was the Chief Guest. Dr. M. Ruvaiz Haniffa, the Chairman of Standing Committee of Libraries and Information Sciences (SCOLIS), University Grants Commission was the Guest of Honour of this event. A large number of academics were present at the inauguration and the sessions.